Learning how to cut your own brick opens up a world of home improvement opportunities. Thanks to today's technologies, cutting brick for back yard patios and other outdoor projects has never been easier. Many home improvement enthusiasts choose to enhance their landscapes with the DIY installation of brick patios, walkways, walls, even the occasional outdoor fireplace. And, thanks to the impressive selection at home improvement centers, they can find a wide range of styles and colors for landscaping bricks and stone to suit just about any landscaping project. While some of these projects—walkways, patios—are easy enough to lay out, you most likely will run into a circumstance that requires you to cut the brick to fit your intended design, especially with more complicated structures such as a fireplace or water feature. 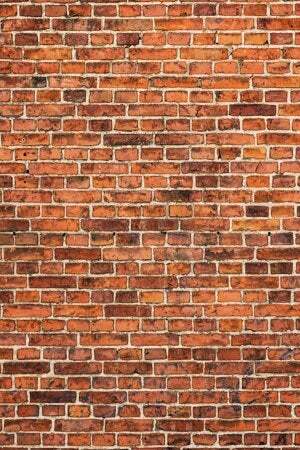 Decades ago, cutting brick would have required a mason’s hammer or cold chisel to score and snap each building block. Thankfully, a little know-how and an electric powered angle grinder with attached diamond cutting blade have simplified the job for today’s DIYers. Set up your workbench close to the work area to reduce travel time between cuts. An ideal workbench would include a set of sawhorses with a scrap of plywood or similar on top; this provides a stable surface when cutting the brick. 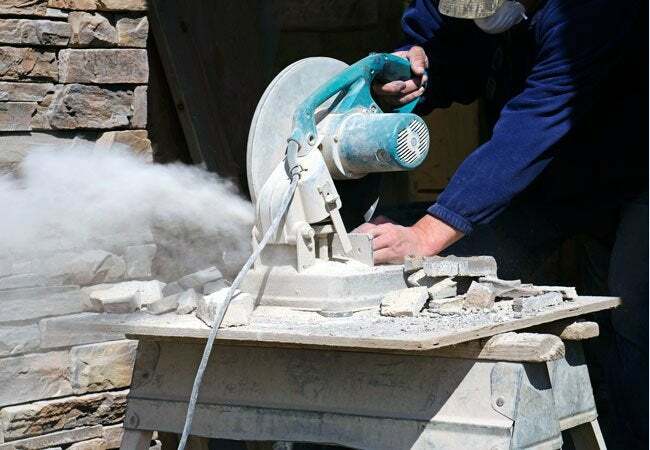 In addition, since brick cutting with an angle grinder is a dusty affair, maintain a safe distance from swimming pools, automobiles, and other areas where the dust could pose a concern. A 50-foot extension cord connected to an outlet provides extra flexibility in location for your power tool when setting up your cutting area. Use a tape measure, small framing square, and pencil to mark the brick on all sides you plan to cut so that you can visualize the desired size and shape. While many cuts will be straight during a brick installation project, you may run across circumstances that require an L-Shaped or curved cut. Take your time when measuring and determining the shape of the cut and be as accurate as possible to reduce material waste and re-cuts. Place the brick on your workbench with the marked surface facing up. Don your protective gear—dust mask and safety glasses—and connect the angle grinder to the extension cord. Word of caution: Make sure the angle grinder is in the Off position before connecting to the power source so that it doesn’t inadvertently start work without an operator. With the angle grinder firmly in your hand and its blade perpendicular to the brick, turn on the switch that activates the tool. Slowly lower the blade to the brick’s surface and begin cutting along the marked line. You should always cut on the waste side—the section of brick you do not want to use—of the pencil line. This not only facilitates accurate cuts but provides a little leeway until you gain the feel of the tool and cutting process. 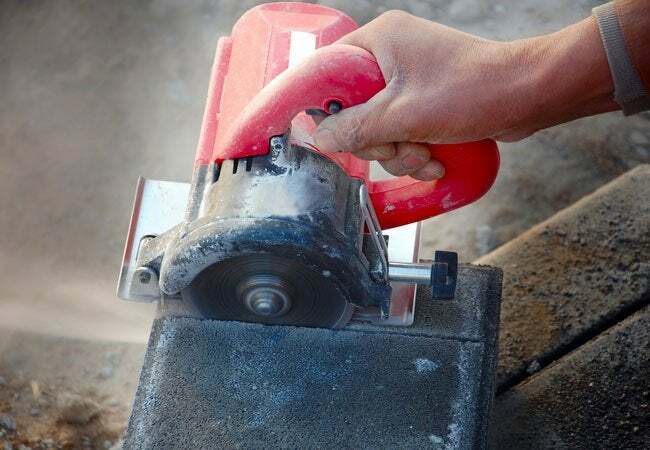 Cutting completely through the brick material with one pass will depend on two things: the thickness of the brick material and the size of the angle grinder and diamond blade you are using. For example, an angle grinder designed to use a 4-1/2-inch diameter blade can cut approximately 2-1/4 inches deep—the distance from the center of the blade in each direction—at best, while a 9-inch grinder can cut to depths of approximately 4-1/2 inches. Since brick sizes vary depending on the type and style you are using—the average range is between 1-5/8-inch through 2-3/4-inch thick with some specialty bricks even thicker—the size of your angle grinder is important if you need to cut through the brick in one pass. If you cannot cut all the way through the brick, you must score the material as deeply as possible on one side with the angle grinder, slide the brick to the edge of your work surface, and finish the cut by lightly tapping the top of the waste side of the brick with a hammer to snap it off. A quick pass with the angle grinder (this time held so that its blade is near parallel with the brick’s cut side in order to shave) will clean up any rough edges. In addition, making L-Shaped cuts in thicker materials may require that you transfer the pencil marks to the backside of the brick and finish cutting with the angle grinder to prevent accidental (and unwanted) breakage. A few cuts in, and you will get in the groove of taking measurements and cutting like a pro in no time. The result? A DIY backyard upgrade that will pay dividends in both personal entertainment and property value.